You know that feeling you get when something is new and you love it so much that you just can’t stop staring at it? Well, this is sort of how I feel about Olivia’s nursery. I’ve been eyeing this room everyday since we’ve completed it. And by Olivia’s reactions, I would like to think her little giggles means she loves it too! One of the easiest ways to compliment any look, like the whimsical-girly theme I’ve done here, is through art. No matter the budget or taste, decorating with art prints can add lots of character and pizzaz. 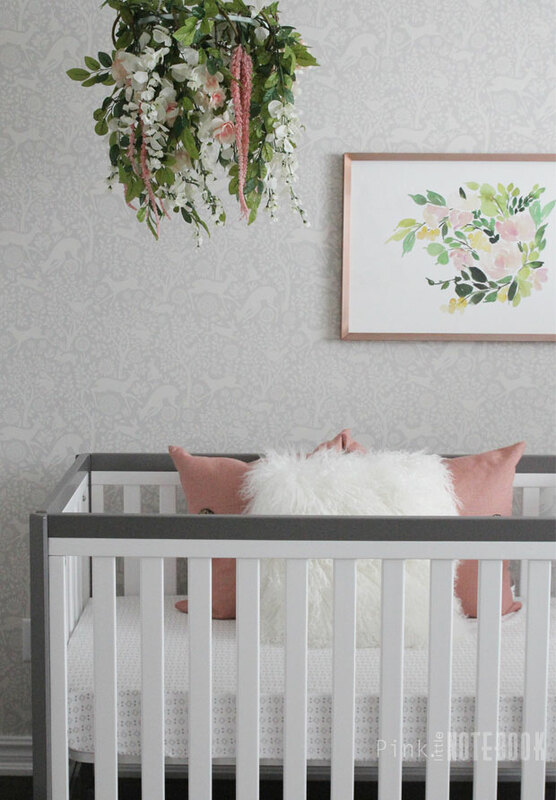 Most of the charming prints you see in Olivia’s room were generously provided by Minted. They are a design marketplace connecting you with the best independent artist in stationary, art and home decor. Their one-of-a-kind items truly makes this one of my favourite places to shop and today I wanted to share a few tips with you when it comes to decorating with Minted art. What is the scale of the art work in relation to room? A good rule to follow is to find a piece of art that is roughly 2/3 the width as the piece below or next to it. This helps to create a sense of balance and harmony in the room. For instance, if you are hanging art over a sofa, the size of the art should be 2/3 the width of the sofa. You can also combine smaller pieces to achieve the desired width. In Olivia’s room, I used a floral print in combination with hanging art (flower mobile) to fill the space on the wall and give a sense of scale. Minted art work comes in a variety of sizes which makes it easy to pick the right size. 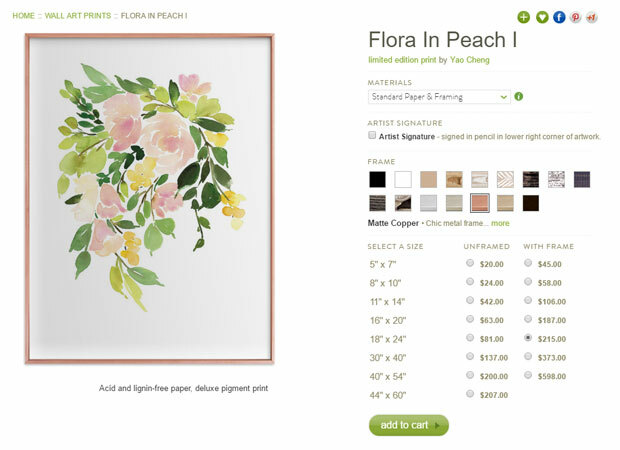 The print above the crib, Flora in Peach by Yao Cheng is 18″ x 24″. Choosing the right frame will not only enhance your art piece but can really play into the overall feeling and style of a room. A frame should match the style of the image and the style of the space it will live in. In Olivia’s room, I wanted a contemporary chic look so I went for a matte copper frame. Although they use the term “copper” I would call this a beautiful shade of rose gold. The sleek and simple look of the frame does not overwhelm the print but rather help showcase the art. Minted has a ton of selection when it comes to frames. From French Farmhouse to whitewash herringbone to distressed indigo. There’s a frame for every style preference. Artwork isn’t just for walls. 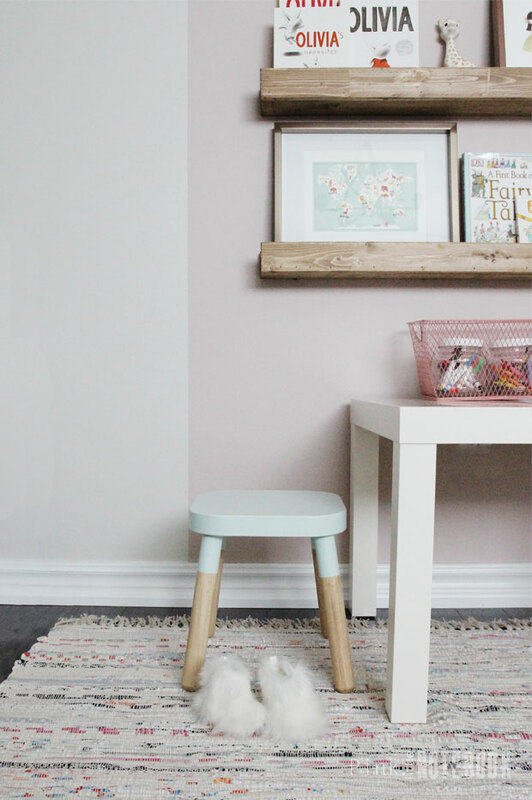 You can use it to dress up shelves, mantels or on top of your favourite piece of furniture. 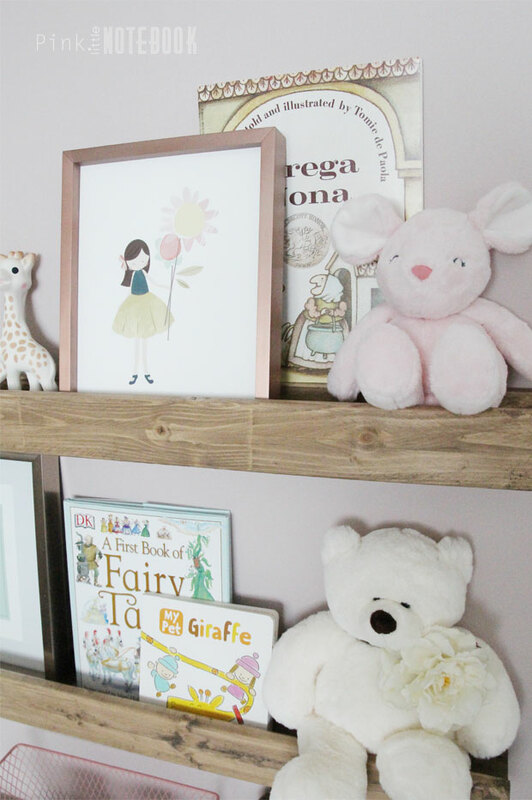 To add a playful touch to this nursery, I added some art work to fill in gaps of our DIY book ledge. When styling a shelf, it’s best to place art work at the end as the height of the piece usually helps to achieve that balance look. I love the simplicity of this Flower Girl art print by peetie design, 8″ x 10″. 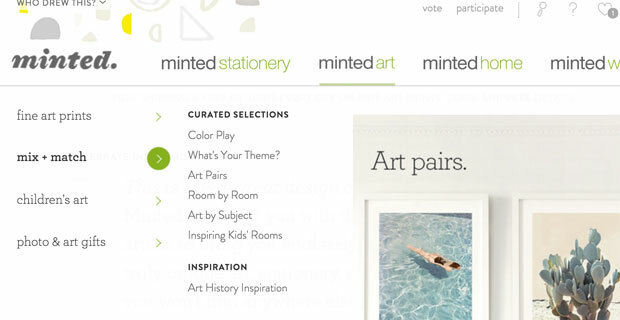 There’s a ton of ways to search on Minted. Whether you’re looking for a particular colour match, looking for art pairs or just searching for art inspiration in the bathroom, they have it all covered. My favourite tool by far was using the selection tab for “children’s art”. Although it narrowed down the options for me, it still gave me a ton of great art prints to choose from. This print, Animal World Map by Jessie Steury, 8″ x 10″ is a perfect colour match to my painted stool. I find navigating through their website just to be so inspiring. You have to check it out! Thanks again for following along on this nursery adventure. I can’t wait to get started on the next project! can you please provide instructions on how to make that mobile? ?